Craniosacral, or my definition of “bioenergetics”, is a way of listening to the rhythms of the body, lines of tension within organs or structures. Life expresses itself as motion, rhythmical impulses of tissues, fluids, bones, not unlike a tide. Bioenergetics is a very light touch technique that enhances and accelerates the body’s ability to heal itself. 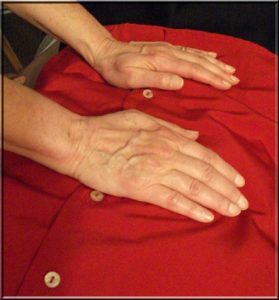 Through sensitive hands, it is a way of feeling and tapping into corrective mechanisms of the body. Sometimes this involves moving the cranial bones themselves which can affect structures below. Sometimes it is the rhythm of the tissues that needs addressing. Sometimes tissues are responding to an earlier inflammation from an illness or injury leading to pain or discomfort, which once released allow the body to heal or access areas that have been inaccessible. These modalities can complement the Feldenkrais Method or be utilized alone.